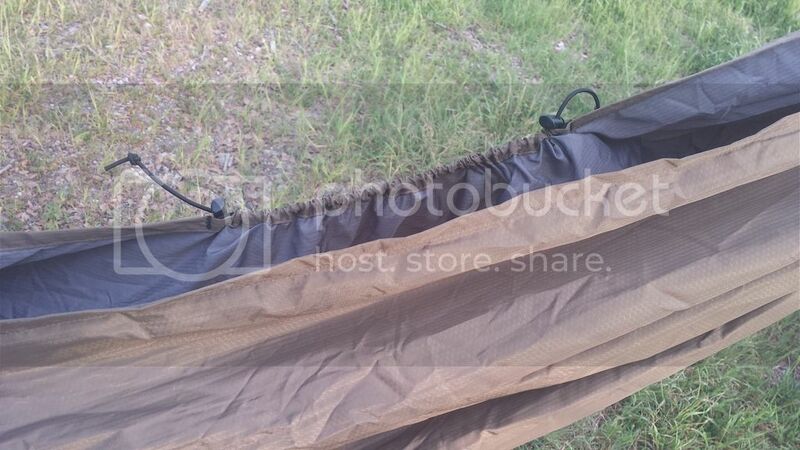 I just received a new hammock from The Bearded Hanger. 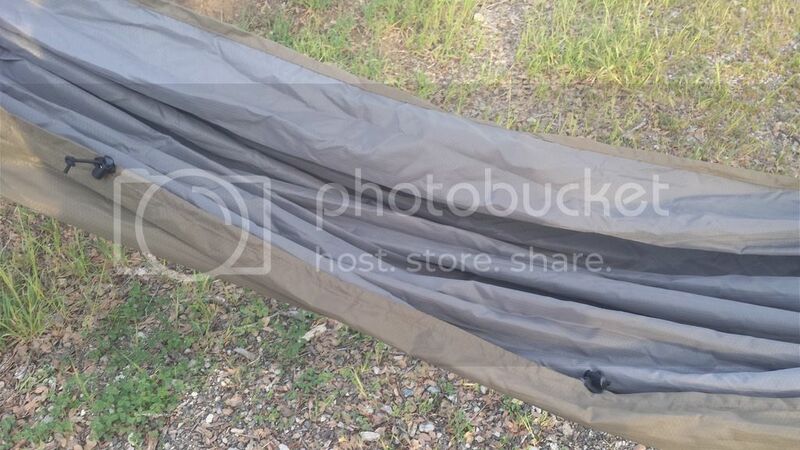 It is a 11' double layer, gathered end hammock made of 2.2 Hex70 XL with a Knotty mod at the head and the foot. This isn't for back packing and I don't have a weight on it. I weigh around 285# so the hammocks I have ordered have been ordered for weight limit not pack weight. I slept in it last night indoors and it was very comfortable. The wider 11' hammock allows me to get a very flat lay. I will take it up in the hills next weekend and will take a picture or two. This is my second Bearded Hanger hammock. He has always been quick to answer emails and has been open to any custom changes I wanted. The quality is great. The stitching is flawless. I have ordered both hammocks from Michael without suspension so I could use my own. I am not much of a DIYer except for splicing so I like to make my own continuous loops and fixed ridgelines. 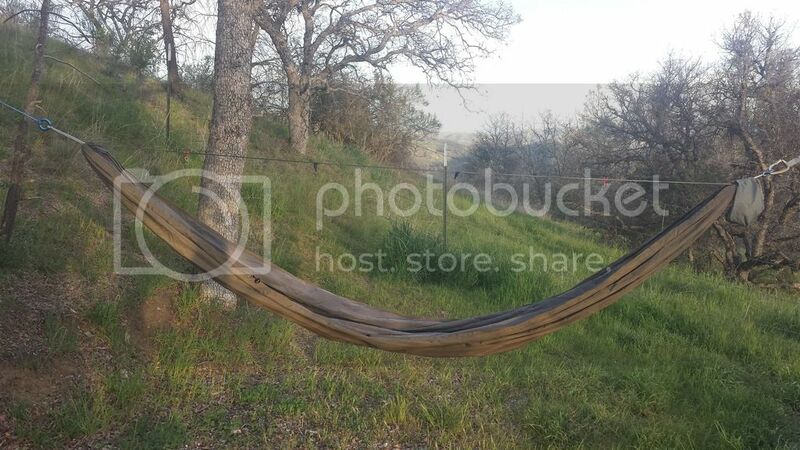 Both hammocks have been a rather subdued olive drab and charcoal grey. I think that color combination looks great. 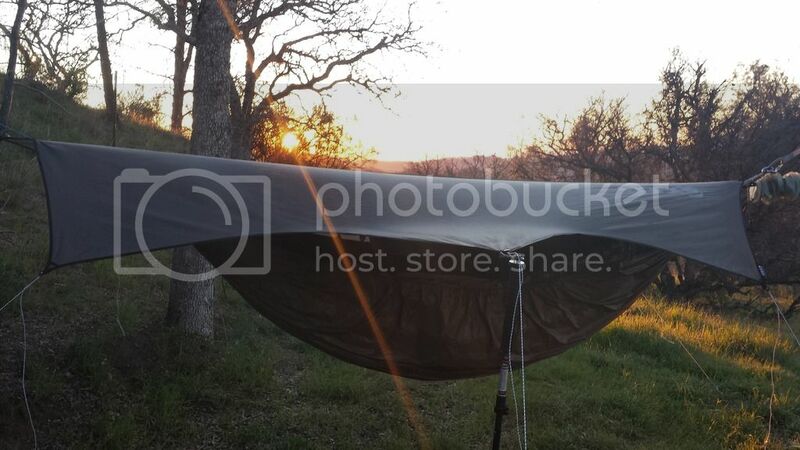 If you are in the market for a new hammock give The Bearded Hanger a look. The two hammocks I have ordered from him have been exceptional. Actually, I guess they are exceptional to me but I am thinking everything he makes is of this quality so maybe standard for him. Nice review of one of the sites vendors.... wouldn't mind a few pics though! Here are a few pics taken last night at Condon Peak Campground. And one last one of sunrise this morning. ipokebadgers wrote: Here are a few pics taken last night at Condon Peak Campground. Thank you sir. I love to see my work out in the piney woods where they belong. That is a very nice looking hammock..
Looks good! That sunrise makes me wish I was in the woods this weekend!